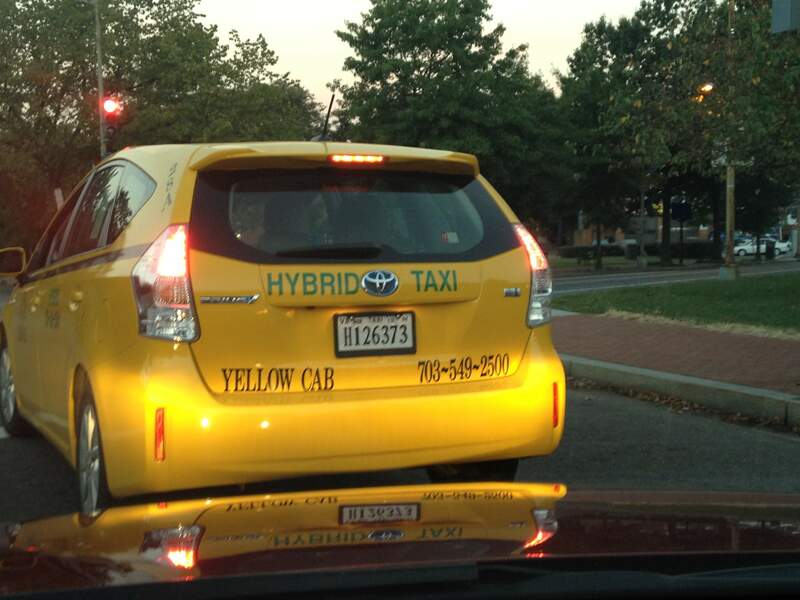 Glad to see hybrid taxis in DC. NY has more though. 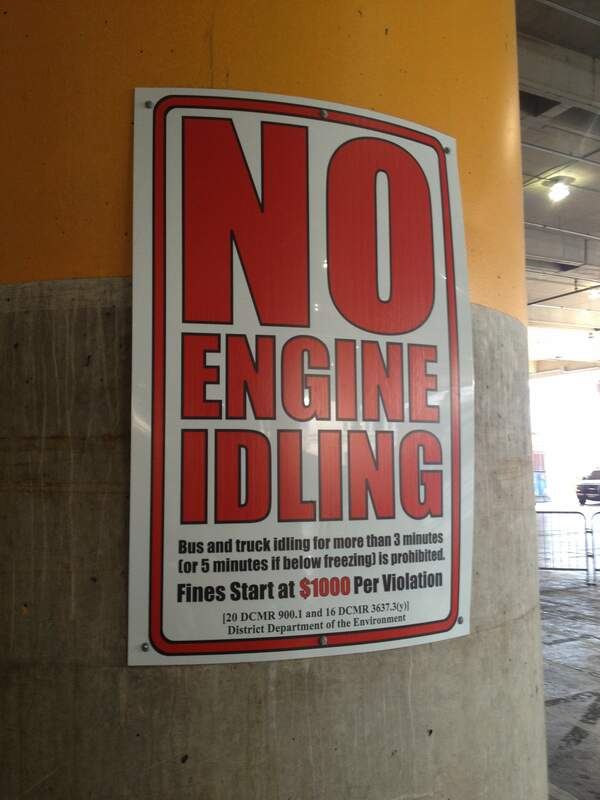 Spotted in Union Station – bus please, turn your engine off. 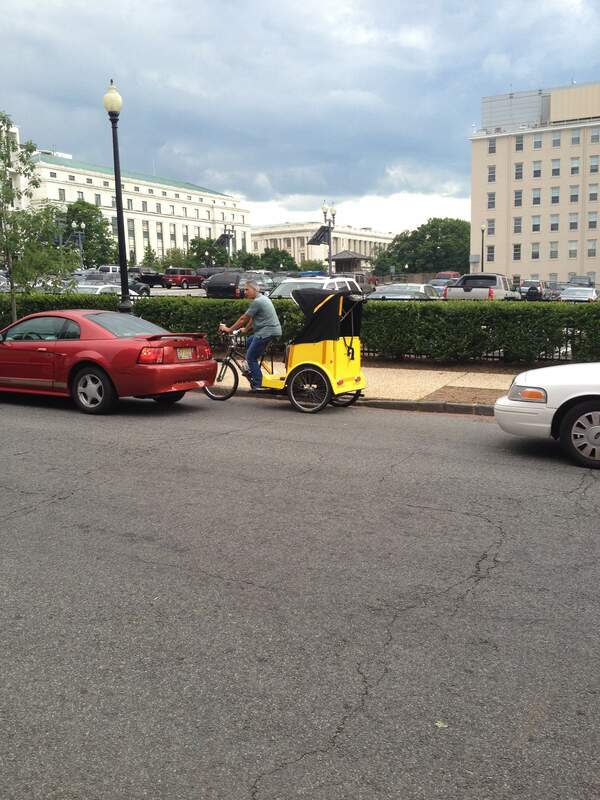 The one in the middle has zero emissions!